In this post, Lifetime Vision Source™ will discuss the signs that you’re wearing the wrong prescription glasses. If you’re wearing the wrong prescription glasses, it can cause blurry vision. Though blurriness can occur if you just received new prescription glasses, if it goes beyond two weeks then that might be a sign that you have the wrong prescription. If that happens, then it’s best you go to your local eye center to have them straighten things out. Vertigo is the sensation of dizziness and being off-balance, regardless of whether or not you are standing or sitting. If you have vertigo associated with a prescription error, it’s possible that your depth perception has changed and may require a change of eyeglasses type. If you had vertigo beforehand, the wrong prescription could cause it to become worse. The wrong prescription glasses can cause you some eye strain, which in turn can cause headaches for you. It’s often described as similar to the pain of a frontal headache. But the headaches aren’t always caused by wrong prescription; one way of finding out is by experimenting and taking off the glasses at certain times of day. If your headache is worse when wearing the glasses, then there might be an error in the prescription. 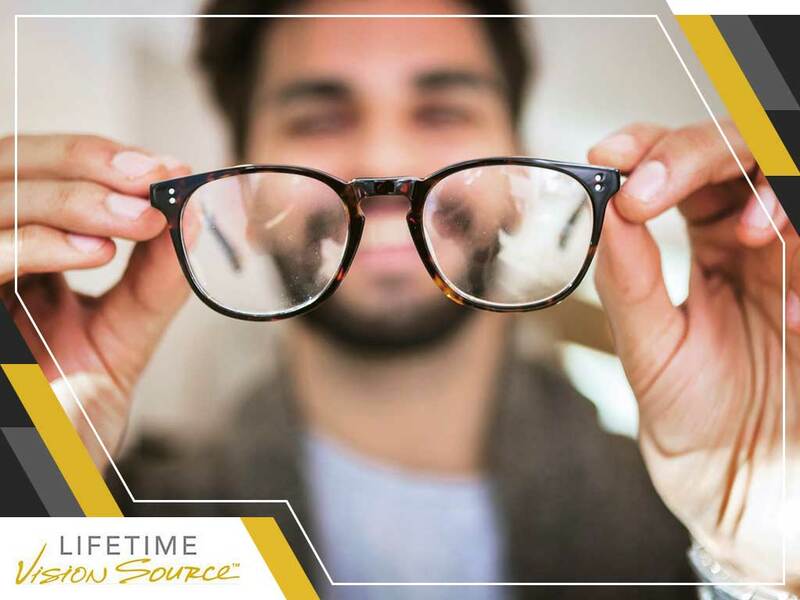 Turn to Lifetime Vision Source™ for your eye care needs. Bring your kids in for a pediatric eye exam. Give us a call at (701) 864-3777 or fill out our contact form if you’re interested in learning more about our products and services. We serve clients in Jamestown, ND, and other nearby areas.